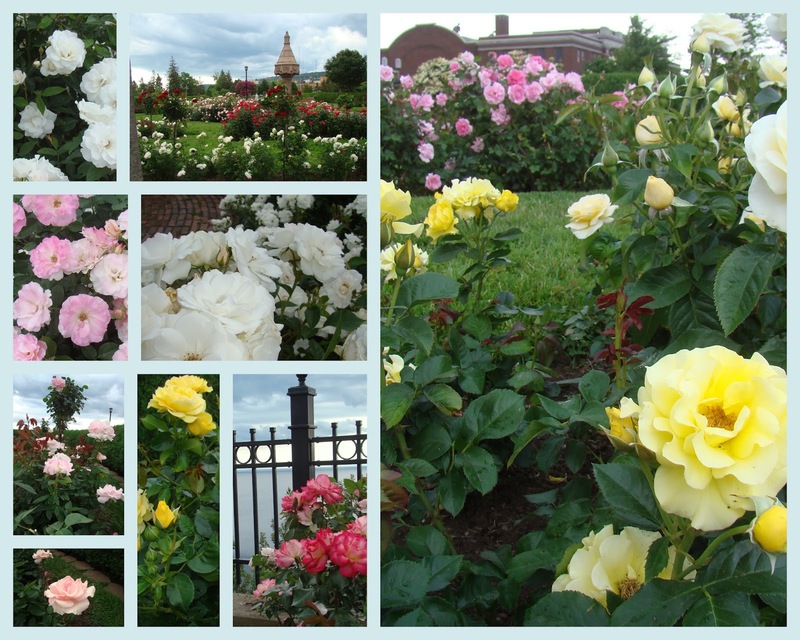 Elv and I had opportunity to be in Duluth yesterday, and we grabbed at a chance to see The Rose Garden in full bloom. Garden roses were everywhere in groupings of colors and kinds. There were mowed paths and water fountains and benches to sit and look or dream or visit as you wish. The very air was permeated with the smell of roses. I took pictures and looked my eyes out. The pictures are far from adequate. This morning Dot told me about an article they re-read this week by John Piper with commentary from a college called Don’t Waste Your Cancer. I recommend this reading to anyone cancer or no. Instructions to learn to know and trust our Creator even better in the hard times. And to become more eternity conscience. That illness or trial, in this case, cancer, are not curses but a part of life designed by God to bring us closer to Him. And lately, I have been thinking how important youth, beauty, and craft are to our society. How much we focus on these transients. We do so many things to ward off the ravages of age, especially we women do this. Because age is not desirable anymore. And that’s sad. As long as we worship youth and beauty; we block ourselves from seeing and understanding reality as God sees it. How can we learn to see what is beautiful in the old wrinkled hands of the aged? I want to understand the real beauty of age: wisdom, kindness, and grace. Actually, I want to exhibit wisdom, kindness, and grace to the senseless world around me. What is more disappointing than a bitter, thankless old lady? I have met a few of them. We choose about this. Life comes with hard things and unhappinesses. We grow kindness and grace from being thankful anyway. Is there anything more beautiful, really, than a graceful, kind, elderly person? I met a cousin the other day, who isn’t old, by the way, but has become a beautiful person through trial. I was so drawn to her openness through her tears as she told me about herself. She drew kindness out of me as she talked. And she said not one bitter word, even though in the world’s eyes she certainly had a right to do so. I believe I saw the real deal in her. She is a lovely lady, comfortable to be around, and a blessing to me. Thanks so much for sharing. I did not mean to be snoopy, I really admired your spirit and attitude. And hoping that I can inspire others as you did me that day. Thanks for the reminder that youth is so temporary and that beauty is not what the world defines it as.